"I thought you sent those things in months ago." I turned to see my husband standing next to me at the computer. I was filing through a stack of photocopied pages that held the key to finding my original family and reuniting. I shrugged. I had just given birth to my first child, and had left my job to take care of him. I could not justify spending the near $400 on something that I felt was only for my benefit. I tried so hard to explain how thinking about taking on this process was making me feel. I could not spend this money on myself or open this world of unknowns. "Yes you can," he said. "What benefits you benefits this family." It was that day that I wrote the check and sent the forms to the intermediary. Just what was is that made me walk to the mailbox that day and put this special envelope inside? I have written about the various many things that lead to me to engage in the search process for my original family. It was a medical scare that helped me realize that knowledge of my biological roots is important to me. It was giving birth to my first son and looking into eyes--the eyes of the first genetic relative I had ever known. It was gathering up the courage to mention my search desires to friends, family, and my parents and feeling empowered by their blessing. Yet I have never written about the catalyst, the specific push that made me send the forms to the intermediary after holding them for months and pondering reunion for years. It was my husband. I had already had his support in searching. In this moment, he gave me the priceless gift of letting me know that he truly understood why I needed to search too. One of the most frequently asked questions that I receive about reunion is not from adoptees but from their spouses. The partners of adoptees want to know how to best support their husband or wife through the search and reunion process. They seek to understand, and are often bewildered by, the change they see in their spouse's experience of being adopted. Many of our partners in life witness our unfolding from maintaining a state where we aren't connected to our original families to suddenly being overcome with emotion once the decision to search was made. They want answers, and they too want support. Here's what I appreciated about my husband during my search. He understood that he could not do this for me. Reunion is about expanding connections but it can feel lonely. We may be surrounded by love and support, but parts of this process by their very nature we do alone. Search sometimes can be done for us. But often times it is we who must directly engage with the intermediary (if we must use one) or access our own information. Meeting our family, establishing a relationship, and maintaining a relationship cannot be done for us. We have to actively participate in these relationships ourselves. My husband kept me company through this journey. We walked side-by-side through this thing as partners in life tend to do through everything. He acknowledged it when I felt lonely. He didn't try to fix everything. When people come to us with a problem, sometimes our first instinct is to try to find a quick solution. This unfortunately means we don't always hear someone out. If we did, we would learn what solutions they've already tried or that there is no solution--they just want someone to listen. My husband is a "fixer." Through my search process he quickly learned that there was no real solution to the ups and downs of the "waiting to find my family" game. There was nothing he could do to make the process go more quickly or to influence the outcome of what the answer might be on the other side. These things that make the search process so hard were entirely outside of his control. So he learned to listen. Really listen. And sometimes not say anything when he was done listening other than, "I'm sorry. I know this is hard. Do you want a hug?" When you immediately jump into "fixing" mode, you can make your loved one feel like they can't tell you about their feelings if there is no solution. Even automatically handing a person who cries a tissue sends the message that they need to wrap up their crying. Forgo the tissue compulsion and just offer your shoulder instead. Sometimes people just need to have a good cry. He made it his issue too. One of the biggest barriers to reunion for me was the idea that I would be burdening everyone else. This is especially true for women who tend to make decisions for themselves based on what others need. I was the mother of a newborn and for the first time in my life was not bringing in any income to the household. The intermediary process cost about $400. I was also needing emotional support surrounding adoption whereas before I had never asked for any. Rather than viewing this as something I was doing that would drain energy from our family, my husband viewed it as something that would strengthen our family by fulfilling a need that I as a family member had. When you embark on something so unknown, there's this anxiety about needing everything to go perfectly or else someone might say, "See, couldn't you just have left it alone?" My husband readily understood that this search process was the best way I had to connect to my roots and none of it was in my control. Even if the outcome had been bad (which it wasn't) such as rejection or not finding my family, there was never any inevitable "I told you so" coming from him. He listened and he learned the issues. I kid you not, I once witnessed my husband fully and concisely inform two people about a very specific adoption policy in their state when he overheard them say something about this policy that he knew to be incorrect. My jaw hit the ground. When I asked him how he knew this information, he replied rather matter-of-fact "well you were talking about it at dinner a few weeks ago." 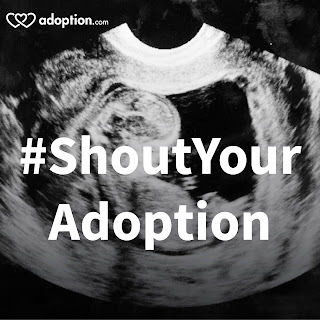 Making healthy adoption policies has been something that I've become very passionate about. I had no idea that he was listening to my interests with such depth. It let me know that he really cares about the things that impact me and that are important to me. Sometimes the things that people want you to understand about them the most are not framed within a conversation. Things that took courage to disclose may be said when the conversation ends, when the adoptee is heading for the doorway to leave the room, or in casual passing throughout the day, Partners, understand that anything your spouse says to you about being adopted, even if it isn't framed in a sit-down conversation about reunion, could be something that's more important for you to hear than you realize. He remembered. He wasn't checking the mailbox eagerly everyday for word back from the intermediary about my search, but I was. My search was a seven month process which seems long but is actually relatively short in the world of reunion. Still, the wait was overwhelming. My husband remembered to ask, every single day, what I had found in the mailbox that day. Even on the days when I had just responded to the intermediary and we knew I wouldn't receive anything back for a while, he still asked. He tried to find comforting things to say about why it was taking so long when weeks and even months would go by without hearing from the intermediary. He acknowledged that trips to the mailbox everyday were no longer an automatic process of daily life but a conscious journey that I took every time I lifted that metal lid and peered inside. He validated me. For some adoptees, embarking on the search process is the first time they really start expanding their network of people that they talk about adoption to. They may be searching for support, seeking to educate others, or letting those close to them know that they might have new people joining their life in the near future. 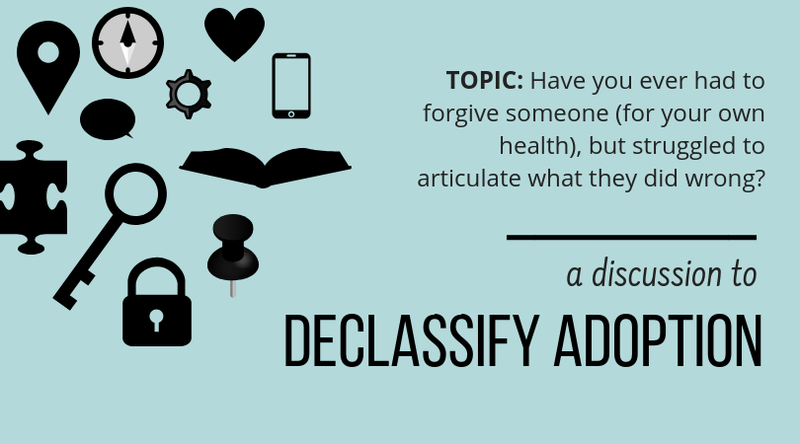 When adoption starts coming up in conversation, probing questions are asked. 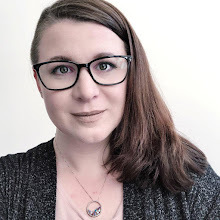 There were instances where people avoided having to word a question to me in a sensitive way by insensitively asking my husband about me, assuming he'd validate their thoughts and approach to my situation if I wasn't present to hear what they said. He didn't. My husband played a key role in increasing my support system by combating misinformation. He validated my unique family memberships, and did not letting off-hand comments about being adopted slide. He embraced my reality. My husband grew up in a home with a mom, a dad, and a sister. They are connected by all of the ties we tend to think of as "family"--biology, law, emotion, nurture--and his parents have been married for almost 40 years. He embraced the fact that my family situation is different. Some people with his family experience view the integration of two families as a burden--more ties to keep track of and relationships to maintain. My husband rather quickly saw the strengths and challenges of having a big family with more than two parents. 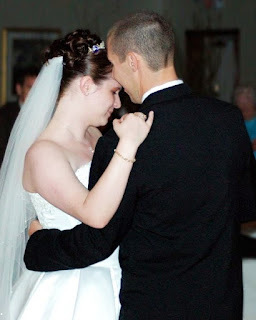 He pulled from his experience of having grandparents who married and divorced several times, giving him more grandparents than perhaps his peers had, to understand why my various connections were so important to me. He looked for ways to empathize and to normalize my experience. I think one of the biggest challenges for our spouses is watching us go from being "OK" to becoming very emotional about adoption once we have engaged in the search process. They want to know what the difference is when, to them, nothing has changed. For the adoptee, everything has changed. The shift from considering searching to actually engaging in search is the shift from "it can wait" to "it's coming." The state of expecting what is coming in response to your engagement in search can be overwhelming. For me, one of the hardest parts of making the shift from "it can wait" to "it's coming" is explaining to my spouse the emotional change he witnessed. I went from maintaining not knowing about my biological family as an everyday part of my life that I accepted to a state where this reality was a present and urgent part of my life. At this time, an emotional shift was required from him too. He had to decide if he was going to ignore the process, reject the process, or take a seat next to mine on the search and reunion roller coaster. But what of this mysterious emotional shift? The difference between "it can wait" and "it's coming" is the overwhelming experience of anticipation. The anticipation forces you to face that everything you've ever wondered about, hoped about, or worried about your original family will soon become very clear. Or, alternately, you face the fact that you won't find anything and may never have the answers that you seek. By maintaining a state of not knowing and not searching, you have control over the outcome--you will receive nothing. You will face nothing. None of your preconceived ideas about your adoption or family will be challenged and you can maintain what you know and accept at this moment in time. The simple act of placing a form in a mailbox is a bold act of surrendering control in an attempt to achieve something you feel is better. We can't ignore the magnitude of being unable to control what answer comes back in the mail, from the intermediary, or over the phone when we reach out in the search and reunion process. I am fortunate to have been embraced and accepted; not every adoptee has this experience. Our spouses are charged with the sacred duty of witnessing us shift from "it can wait" to "its coming" and finding a way to be supportive through the unknown. There's really no magical equation to being a good spouse to a searching and reuniting adult adoptee. It's simply doing what partners in life do for each other each and every single day while acknowledging that this is a time in the adoptee's life when they may need the presence and concern of their spouse now more than ever. They must support us through the ups and downs of waiting. They must rejoice with us over what information we do receive and what connections we do restore. And, sadly, spouses of adoptees must share in the adoptee's pain and help pick up the pieces in the instances where "what comes" is not what was expected.